Buses to and from Zagreb are plentiful. As a matter of fact, Zagreb is connected to Croatia and most of Europe with a vast network of bus lines. As a capital of Croatia, Zagreb provides transportation to all Croatian destinations as well as major European cities. Bus seats are assigned. If you plan to purchase your tickets online, get a ticket early. Buses to and from Zagreb are frequent. They service surrounding areas and most of Croatia. Both domestic and international buses arrive and depart from Zagreb Bus Station. 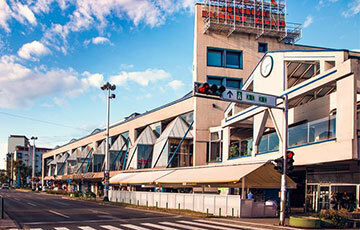 The station is located in the centre, with easy access to public transport. Zagreb is a very budget friendly city. As a matter of fact, bus tickets to and from Zagreb start out at around 15 EUR and it is connected to major European capitals. This combination of its location, connectivity and affordability makes it very easy to get to Zagreb. You may purchase your tickets online, but be advised that for some bus companies you must pick up your tickets at the bus station at least 30 minutes before departure. Zagreb Bus Station charge 12 HRK for this service, but it is obligatory. They accept both cash and credit cards.